Thank for for the file!! Thanks for the cute flowers! This is so sweet, and so are you. Oh that is SUPER SUPER cute!!!!! What a cute file! Thank you for sharing. Super cute! Thanks for sharing the file! Thank you so much for this post. 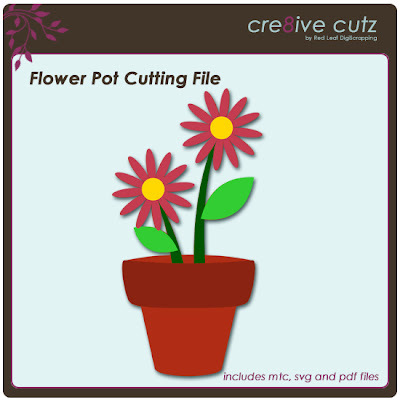 I want to let you know that I posted a link to your blog in Creative Busy Hands Cricut Freebies Search List, under the Flowers post on May. 18, 2011. Thanks again. Thank you for the pot. I was looking for one a couple of weeks ago and couldn't find one. At least now I know I have one. Thanks.